I remember that overwhelming feeling of leaving the hospital with my first daughter. My husband and I looked at each other like ‘now what?’ They’re just going to let us take her? What if we don’t know what to do?! We worked it out, as everyone does, one way or another. The job of a parent seems pretty huge, doesn’t it? Wholly responsible for this life you’ve created. Along the way I’ve discovered that it really doesn’t have to be as hard as most people make it. You know what is hard? Trying to control a free human being. That is one exhausting goal! Fortunately, you don’t actually have to. There are some things you can give up right now! It is not my job to force people to sleep. I know sleep is a BIG one. There are thousands of books on the topic. Everyone wants to know how to get their child to sleep when they want them to sleep. But sleep is a biological necessity, we don’t need to force anyone to do it! Everyone has the right to sleep when they are tired and wake when rested. Trying to control that process by forcing children to sleep when they’re not tired, or wake before they’re ready, is what creates battles around sleep. It’s not the children that need to change, it’s our expectations! Expecting a child to ignore what their body is telling them and instead stick to your sleep schedule is kinda rude. ‘But I need sleep, and some time out?’ True! I’m not saying that’s going to be compromised. I’m saying EVERYONE’S needs are equal and we can work towards making sure all our needs are met (except if we’re talking about a young baby, that is! They need regular feeding/changes/comfort and you’re just going to have to get used to less sleep for a while there). Strict bedtimes are not necessary. And without them, it’s still possible for everyone to get enough sleep while also learning how to listen to their own bodies, and feeling respected and supported. Talk to children about how their bodies are feeling when they’re tired, and when they’re rested, encouraging awareness of how their choices affect how they feel. Create an environment conductive to sleep in the evenings (low lighting, quiet play or stories, etc). Connect at the end of the day. Often children have trouble resting if there’s something on their mind and some lovely connection time can help them get it out. 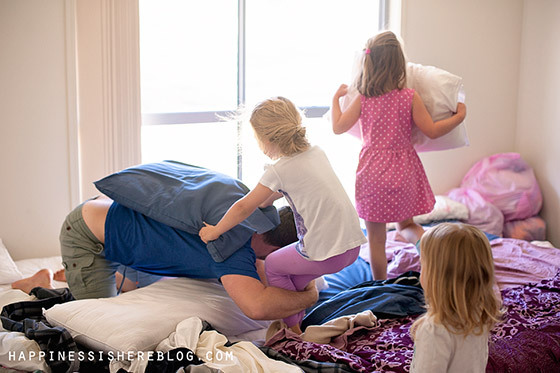 Read more about how we ditched bedtime here. Yep, another biological necessity. Another thing that you don’t need to control. What a pain it would be if someone always had an opinion about your eating habits, right? Children feel the same! The more you push, cajole, barter, or threaten, the more your child feels like resisting. I know we do it because we’re worried, but (in the absence of any medical difficulties) children are not going to starve themselves! Your job is to provide a variety of healthy foods. The end. Your child’s job is to listen to their body and eat when hungry. And we DO NOT want to override that. That’s when problems with eating start! We always want them to be able to trust their own bodies and be guided by what their body needs, instead of pleasing other people. That’s how they develop a healthy relationship with food. It is not your job to make your child eat. Start at the beginning by always letting your baby feed themselves! Provide a range of healthy foods, regularly. Don’t comment on when/what/how much they eat. Read more about how we encourage good eating habits here. Ok this one seems obvious, but if I do a google search on ‘toilet training’ evidently it’s not. Another person’s toilet habits are not mine to control. Children absolutely don’t need to be trained to use the toilet. They’re very clever you know! No reward charts or punishments needed. Please don’t insist they ‘do a wee for Mummy’. Do we use our bodies to appease others? No. Like all things, toilet learning happens easily and naturally when they’re ready. Wait until they’re ready. There’s no rush. That’s right! It’s not my job to be the entertainer of my children. And they absolutely don’t need me to! They are capable, whole people. Just as I don’t need someone available to entertain me every day, neither do they. They are imaginative, creative, inspired, and motivated. 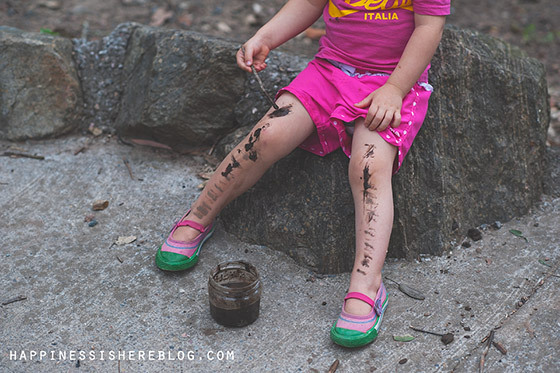 Have you ever seen a child play with a stick for an hour straight? Trust me, they’ve got this covered. The thing is, if you see it as your job to entertain your children, then they quickly become dependent on that entertainment. By keeping them constantly busy and entertained, you undermine their ability to entertain themselves. Then you start to hear the familiar, ‘I’m bored’. Let them be bored! Empathise instead of providing answers, ‘You’re feeling bored. It’s hard to know what to do sometimes’. Include them in your life. Children want to do real things. They are never bored when they are allowed to be an active participant in your day. Create a home that encourages independence. Make sure they can reach all their own things and use them independently. Provide open ended toys and loose parts so that they can use their imagination to play in whatever way they like. Read more about raising independent kids and self-directed learners here. Controlling people’s emotions is definitely not my job! And happiness is not the only acceptable feeling. We’re not trying to raise happy people, but whole people. People who know how to feel and process any of the emotions that life elicits. So sadness, anger, frustration, joy, happiness, envy, anxiety, contentment, loneliness, optimism… all perfectly ok! Our job is not to prevent our children from experiencing negative emotions, it’s to support them so they have the emotional regulation skills they will need for adult life. Empathise! That’s really it! I highly recommend this book to help you with it. 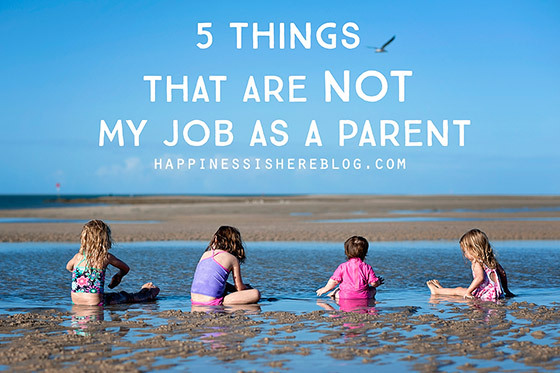 Many parents take on these jobs, but you can rest easy that you don’t have to! And things will be fine. Is it any surprise that these seem to be the most common areas that parents struggle with? Sleeping, eating, toileting, entertaining, and big emotions? There’s a reason! It’s because those things are not for us to control! They are entirely the responsibility of each individual person, and children are people too. Children have the right to autonomy, both of their bodies and minds, and they know this, so they fight back when someone tries to take that control from them. That’s when you find yourself in a battle of wills, and that’s not a fun place to be. Instead, we can respect children’s rights to make decisions pertaining to their own bodies and minds, and work with them instead of against them. I promise, it’s a whole lot more peaceful! And no, before you say it, it doesn’t mean children ‘doing what they like’ without regards for anyone else’s needs. It’s about everyone’s needs being equal and working towards solutions that benefit everyone! Children are equal, and they deserve our respect instead of our control. And surely we could all do with making our lives easier by giving up some of these unnecessary jobs we’ve created? Trying to control a free, autonomous individual is exhausting. You don’t have to do that. Lovely article as always. Regarding controlling toilet habits, I was wondering, did you every considering doing EC (Elimination Communication)? 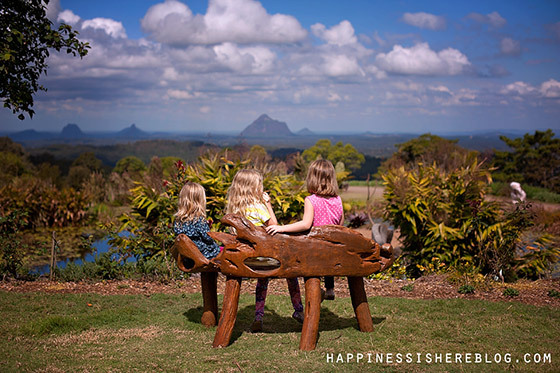 I’m an unschooling mum and I love reading your blogs, Facebook and Instagram. My girls are becoming very disruptive at bedtimes and disturbing the other children (I have 4, 3 of them share a room) bedtimes are not strict, they can play quietly but I find that they are waking or stopping the others going to sleep. Any ideas? It’s more of a learning to be aware of others need to sleep I guess. My youngest is 3 and oldest is 9. Tanya, are there other places that the children that want to sleep could go? Some things we have done are making cozy sleeping spaces on the floor in another room using duvets and sleeping bags, children going to sleep in our bed then moving them to their own later, going to sleep at different times to suit different sleeping patterns….. Wonderful thoughts! 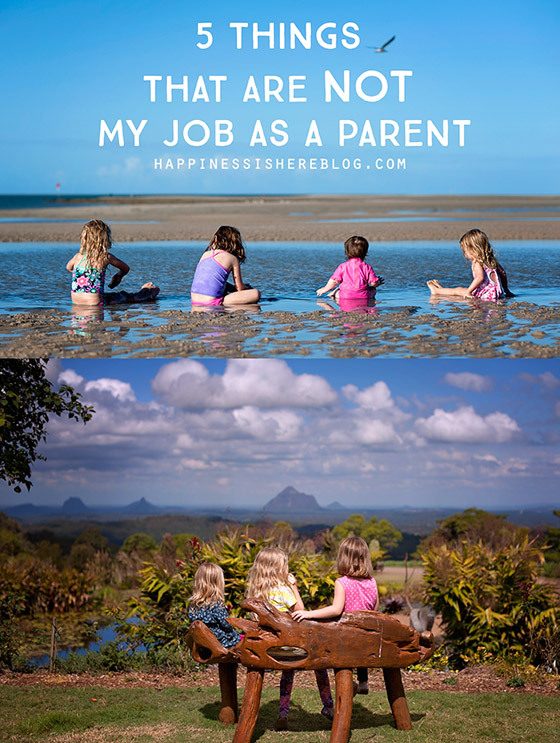 It is amazing to think that so much parenting advice is centered around these very things (and, I would add, getting children to do their homework and getting kids out the door to school, things that also aren’t our job as unschooling parents ;-)). I find that the biggest issue we are dealing with right now is respect for our belongings, both communal (especially taking care of furniture and our very old house), and personal (keeping game and toy pieces together so they don’t get lost and broken, for example). I realize that our kids’ learning and enjoyment are more important than our stuff, but I’m finding it hard to balance everyone’s needs right now, especially as our kids are very young (6, 4, and 2). 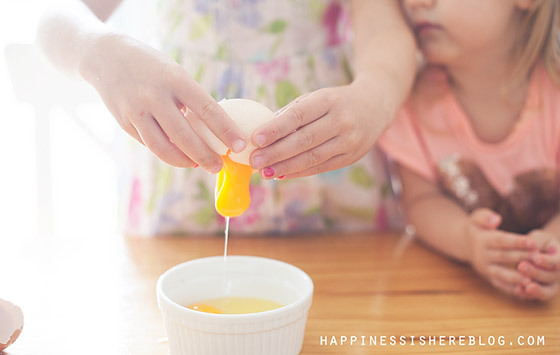 I wonder if you or your readers have had any luck working with your kids on this (without feeling like you’re constantly enforcing “rules” about the proper way to treat things!). Speaking directly to the sleep issue, when my son was a newborn he slept 30 minutes every 2 1/2 hours. The 18 hours a day of sleep I was promised by all the “well-wishers” and baby books never happened. When I cried in front of his pediatrician, she gemtly reminded me that he was thriving, meeting his benchmarks, and was clearly getting all the sleep that his body needs. The disconnect was my assumption about what “should” be happening. Forcing him to be in his bed when he wasn’t tired was cruel. Listen to your baby, trust your baby. He will let you know what he needs! Love your article!! Thank you so much! I have a nice episode to share with you concerning bedtime. My son didn’t get tired till about 10pm and I was stressed out. So I said: I don’t play with you, but I will sit right here reading my book. When he got tired he came on my lap curled up like a cat a fell asleep instantly. In the following weeks his announcement became: Mum, come to my room! I already brought your book. Guess what? I got a lot of reading done and he played with himself until he was tired enough to sleep. I have found your blog recently and I am addicted to read about everything you share. You deliver information so easily and available. Continue reading. You are blessed! Thanks for keeping me alert to be a better parent! Perfect! I loved reading this all the way through. It’s easy sometimes to think we are responsible for keeping them entertained and happy, but really that’s just another method of control. Thank you! HI! THANKS for all your lovely articles. I have an issue with some advises and guidelines, though , and would like to get some clarification on them … Are you referring to the 1-3 year olds in many of these issues? Like the ‘keeping people happy’ job… If i dont tend to my child’s loneliness, envy, fustration, boredom with no activities, etc she would throw things around, poke and hurt her baby sister, etc. I do have to channel her emotions SOMETIMES to produce a productive day for myself on those ‘feeling some crazy emotion’ days… I mean, i’ve got to think in her shoes and that IS a bit of work for a parent sometimes…. It’s not so easy as a parent from my perspective 🙂 🙂 Have i understood something wrong? I’m struggling getting my head around the eating aspect of this recently. My son gets bored eating very quickly and prefers to graze but he developed an iron deficiency (which we’ve overcome now) so I’m nervous about ‘allowing’ him to give up on a meal after 5 mouthfuls. He’ll want to eat shortly after but he doesn’t want the healthy meal he didn’t eat and demands ‘snacks’ over all the healthy options I offer. Similarly, my daughter eats well but will often stop short of finishing a meal but then immediately ask for dessert. I’m all for teaching them to listen to their bodies regarding hunger but am struggling with how to deal with ‘I don’t want any more dinner, but I want ice cream’ without becoming my mum and saying ‘eat all your dinner, then you can have ice cream’. Any thoughts welcome! I have found that if you want kids to eat in a healthy way, you only have healthy food available. This means everyone in the family eats healthy only. There is no one else eating “treat foods”. We go out for treats, for example an ice cream cone after the day at the park, there is no ice cream in the freezer. It is only a treat not a meal. There are no chips either. We will have small snack bags of them with a dinner sometimes instead. Or popcorn only with a movie night. You are totally spot on the things that we should not control in our kids. I actually realize the more we interfere in these arenas of our children’s lives, the more irritable and dependent they become. Because probably we tell them unconsciously that we don’t trust them!